The Iris Award for 2015 was awarded to St. Mary’s Parish located on Main Street. St. Mary’s has continually showed pride in making the entrance to the church attractive and inviting. The display of color and texture is a visual treat. 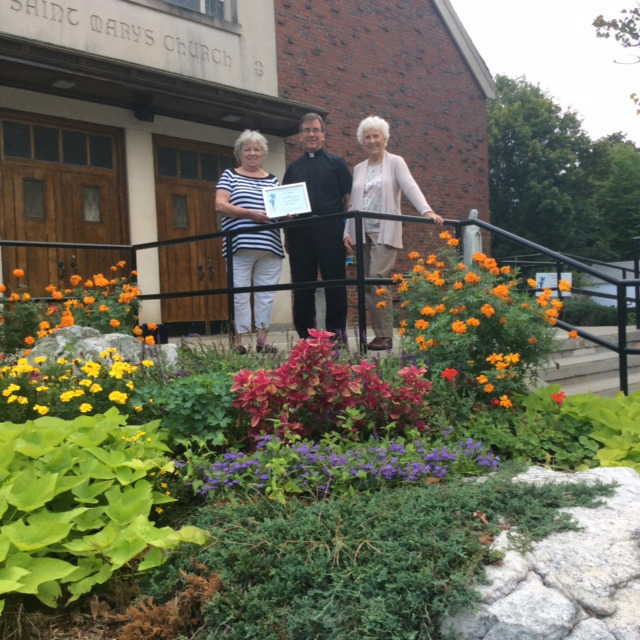 The Garden Club commends St. Mary’s Church for their role in making Shrewsbury more beautiful. 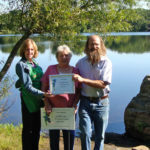 Just tell us something about why you feel this individual, business or group should receive The Garden Club Iris Award. The awardees will receive a certificate of recognition as well as a sign posted at the sight of the beautification. Multiple awards may be given so there is no limit to the number of nominations. Garden Club members will review each nominee before making the award. 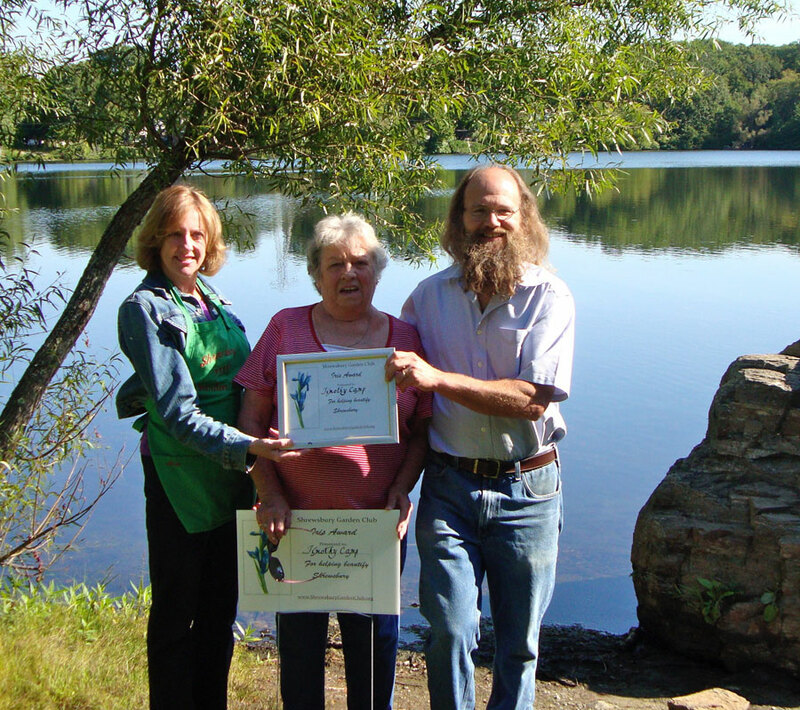 The first Iris Award was given to Mr. Timothy Camp who resides in the Jordon Pond area of Shrewsbury and has taken on an active roll in helping to clean up and maintain the walking trail which surrounds the pond. We commend Mr. Camp for his continued work to help keep Jordon Pond a place for residents to enjoy. Garden Club members Alison Ricker (left), Ann Pignataro (center) and Iris Award recipient Timothy Camp (left). Garden Club members Ann Pignataro (left) and Jane Umphrey (right) present the 2015 Iris Award for Community Beautification to Father Michael Rose.